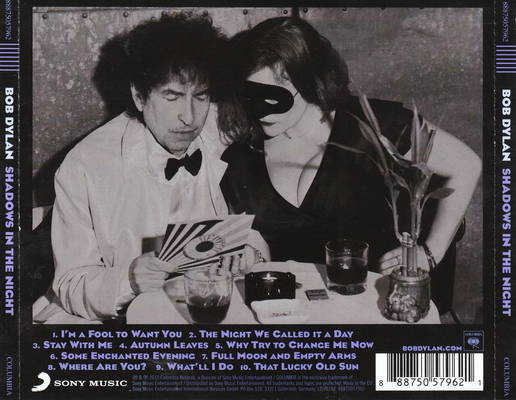 Bob Dylan has always liked a cover version, even from way back in his folk days (his first album was full of them). He has always liked to dip into what Van Morrison would call "the days before rock 'n' roll" and the "Americana" from the fifties, and sometimes from even earlier - the Delta blues standards, of course and nineteenth-century folk songs. Here, he covers songs sung by Frank Sinatra. These are not "big band", "It Had To be You", "New York, New York" songs, however. They are "torch" style songs from Sinatra's "dark of the night" period from the late fifties - songs intended to be played in the dark of night after an evening hitting the saloon bars, alone, your girl having gone God knows where, with God knows who. It is not, in any way, like the more common Sinatra covers album that TV stars put out for the Christmas market. It is a sombre, highly evocative, atmospheric collection of sad, reflective songs. They suit Dylan's croaky, ageing voice perfectly. Yes, Sinatra purists will say that they do not want to hear anyone sing these songs but Sinatra, and, in many ways, I can understand that, but, as a Dylan aficionado, I can derive considerable pleasure from this. 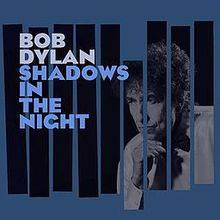 Yes, this was the artist who defined the change from when artists covered other people's songs to writing their own songs, and, of course, he is possibly the greatest lyricist popular music has ever known, but, as I said before, he always likes a cover. He respects music that has gone before. He wanted to do this album, and he does it well. My personal highlights are "The Night We Called It A Day", "Autumn Leaves", the heartbreaking "Where Are You" and "That Lucky Old Sun". The backing on the album is understated and sparse, subtle enough to concentrate on the lyrics, as indeed the originals were. As mentioned earlier, these were not big band-backed songs. I find this an ideal late evening album. I have the Sinatra albums too, but sometimes I like to play this. I do feel, however, that the subsequent albums of "Great American Songbook" crooners were a couple of steps too far from Dylan.